New applicants are required to complete and submit an online Application for Enrollment. Upon acceptance, a $100 application fee will be added to your payment plan. You will need to create a username and password to apply for enrollment. To begin this process, click here. Upon receipt of a complete application, which includes all records requested from previous school, each candidate interested in admission to LCA should contact the Admissions Office to schedule a new student/family interview with the Principal. A minimum of one parent is required to attend the interview with their student. New applicants are required to complete and submit an online Application for Enrollment with a non-refundable application fee of $100. You will need to create a username and password to apply for enrollment. To begin this process, click here. All state required will be required prior to starting school. 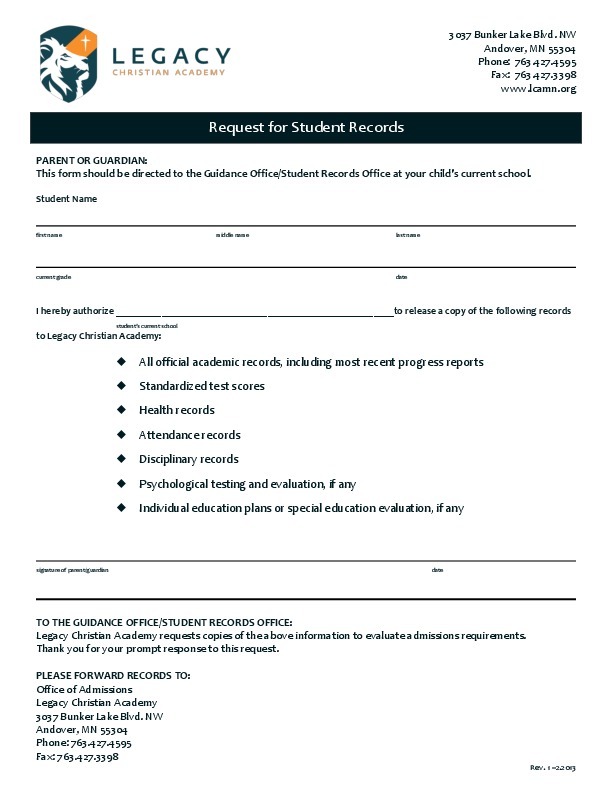 Parents must complete and submit to current school for unofficial student records to be released to LCA for admission consideration into grades 1-12. 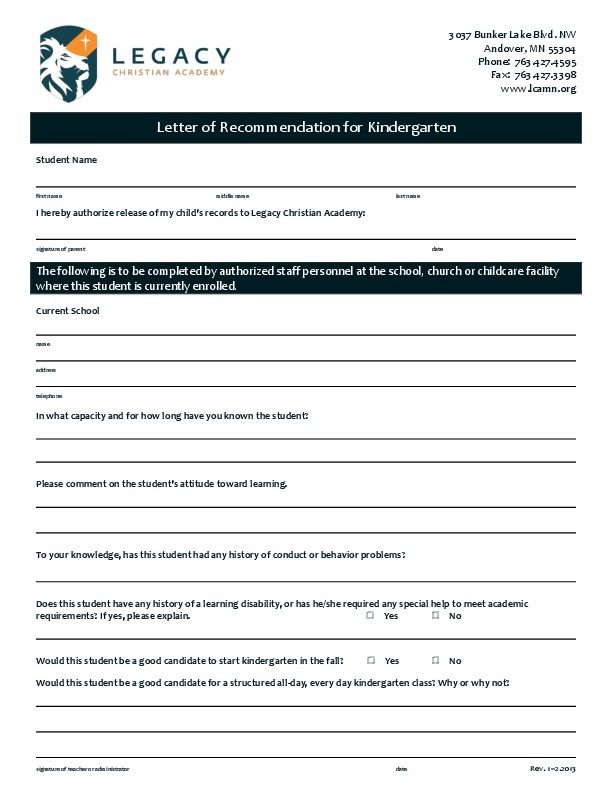 Parents must request completion of the Kindergarten Recommendation Letter by a qualified Preschool Teacher, Sunday School Teacher or Childcare facility. 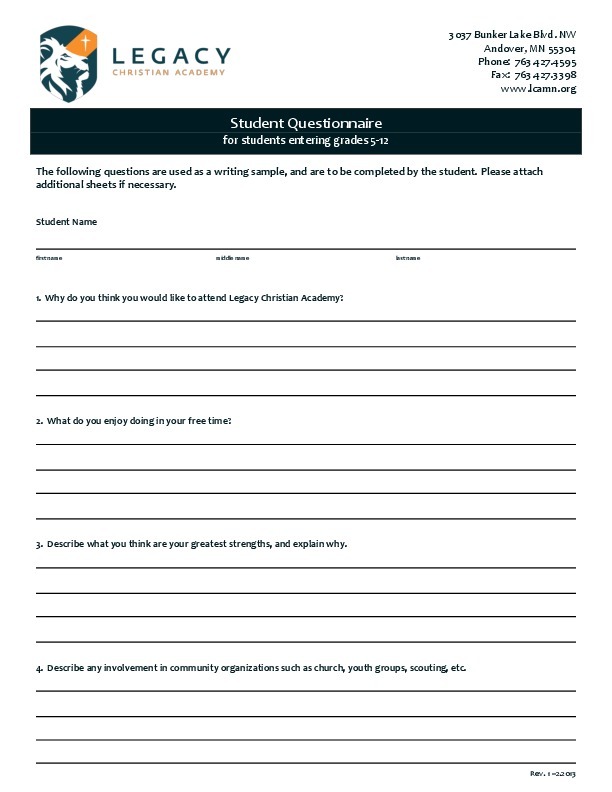 Must be completed by all students applying for admission into grades 5-12. 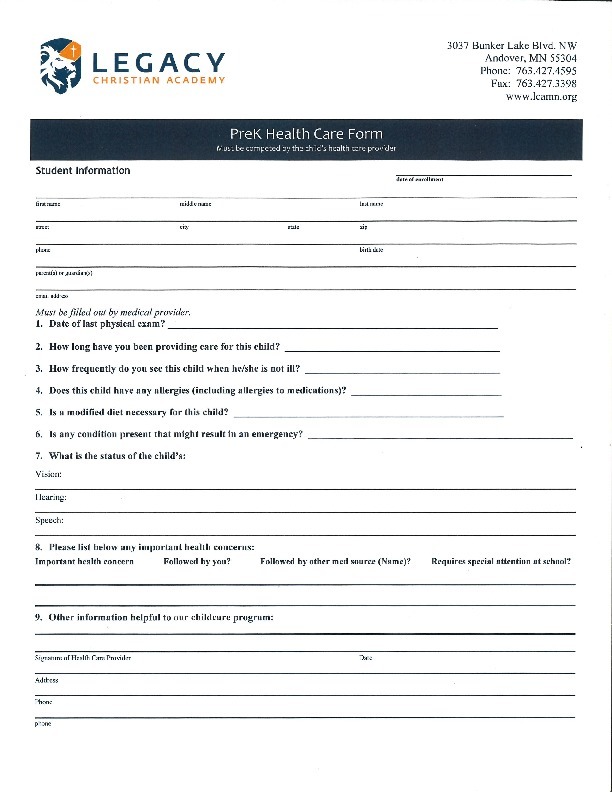 PreK required forms are needed prior to starting school.